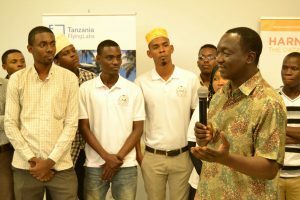 On Wednesday October 25th, 2017, our first “Drones as a Service” Business Incubation Program in Tanzania came to an end with the final competition event held at the DLab in Dar es Salaam. The four finalist teams, who have already participated in our one-week seminar in September (read more in this blog post), were now facing each other in front of a jury of professionals to present their idea in a 2 minute pitch and then defend it in a 10 minute Q&A session with the judges. Prior to the final competition day, all four teams submitted their business & financial plans as well as additional preparation work. The winning team was elected on both the quality of their submitted plans and preparation work as well as their performance at the final competition event. While competition was fierce in terms of scores, the spirit of collaboration and shared knowledge, instilled from the very beginning of the program, took over the final competition as well. 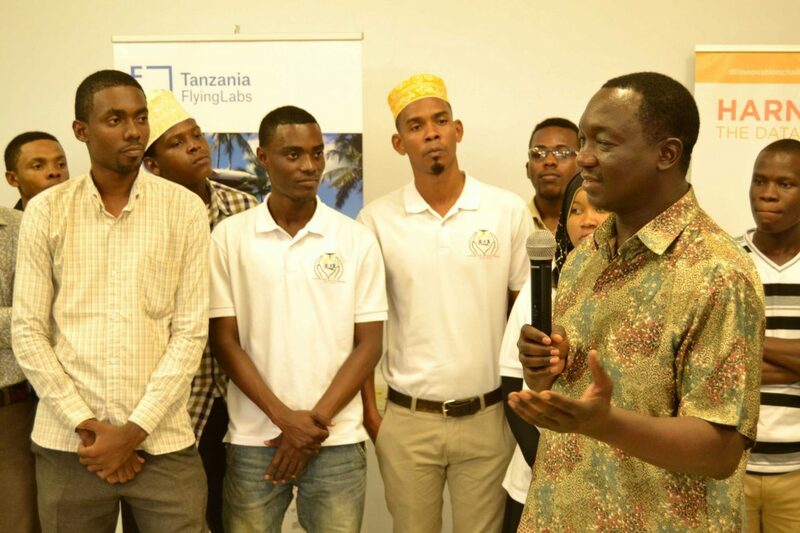 After much consideration, the professional jury made up of Mr. Imani Alfayo – Digital Strategist and Financial Technology Expert, Mr. Sosthenes Sambua – Executive Director at Tanzania Entrepreneurship and Competitiveness Centre, and Mr. Collin Gumbu – Entrepreneurial Executive came to a final decision and elected Zanzibar Drone Academy as the winning team. Discover the video pitches of our other three finalist teams here. 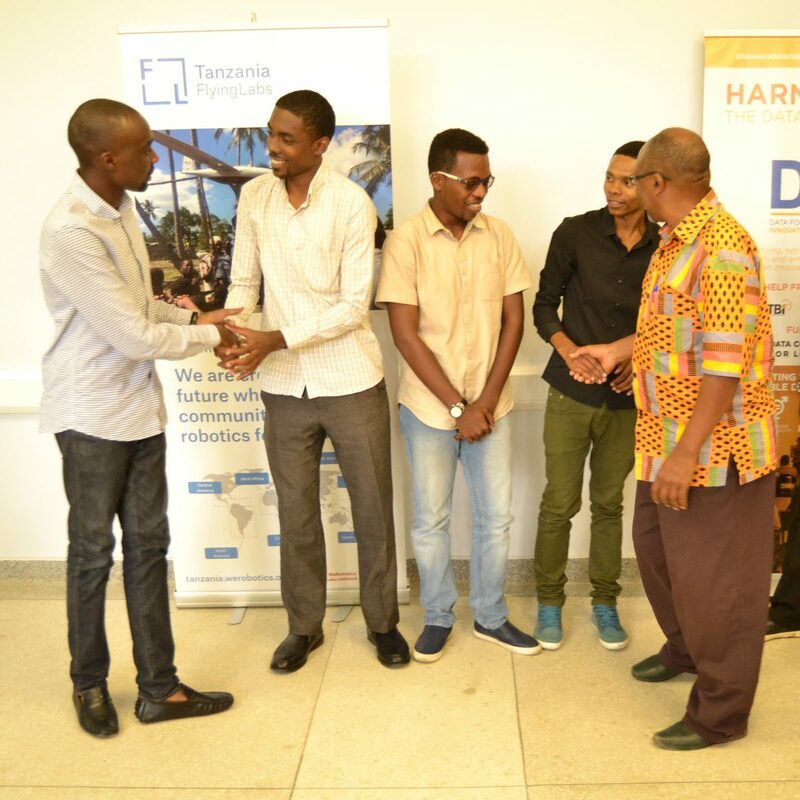 We proudly congratulate Zanzibar Drone Academy for their success of winning our first “Drones as a Service” Business Incubation program in Tanzania. Their passion and hard work, demonstrated from the very beginning of the competition, has paid off and we wish the team all the best to now as they turn their idea into a successful business. The final prize money of ten million Tanzanian Shillings will allow them to get a kick-start in setting up their business, and the continued support of Tanzania Flying Labs as well as the program partners will give them the necessary local network access to succeed. We would like to congratulate not only the winning team, but all four finalist teams who have done an outstanding job over the last 5 weeks, putting together highly professional business plans and preparing compelling pitches. We wish all four teams lots of success in their future and are proud to have been able to host them in our first Business Incubation Program. We look forward to following each team in their future, and are convinced that all four businesses will be successful. Our high appreciation also goes to the four members of the jury and team mentors. We thank them for investing their valuable time and sharing their expertise with us and the four final teams. We also extend our gratitude to our local partners of this program: DTBi, DLab and the World Bank, who have helped us over the four last months to make this program a success.